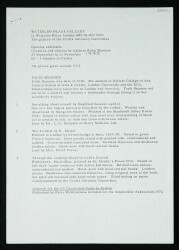 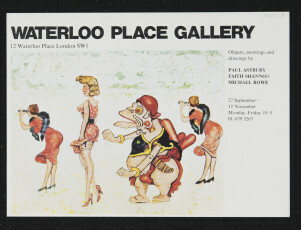 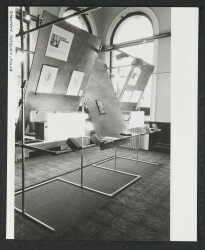 Black and white photograph showing an installation view of 'Objects, Paintings and Drawings', an exhibition of work by Paul Astbury, Faith Shannon and Michael Rowe held at Waterloo Place Gallery from 27 September to 13 November 1973. 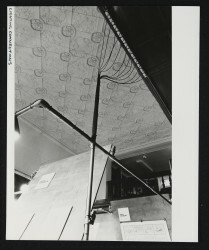 This view shows the display of Michael Rowe's Pomander (M6). 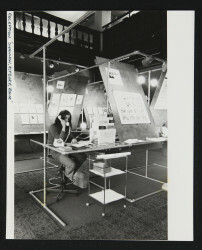 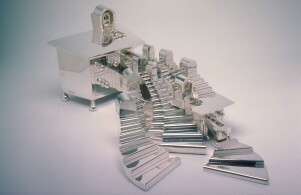 Photograph, Installation view of 'Objects, Paintings and Drawings', photographer unknown, 1973, Crafts Council Collection: AM219.